The most primary questions that remain in our understanding of the Universe, the nature of dark matter and dark energy, and the missing 95% of matter in the Universe, could have a related explanation, scientists at Oxford have suggested. A new model has united the two phenomena into a single object; a fluid containing ‘negative mass’ that would accelerate towards you if pushed away. The new theory may also confirm another prediction made by Einstein a century ago. Current models of the Universe contain gaps in our knowledge regarding confirmed observations. We know that there must be more mass in galaxies than simply the stars, gas, and dust we observe, because of the speed at which they move. Thus, this missing matter must not strongly interact with electromagnetic radiation and baryonic matter meaning is something completely new. Physicists have termed this gap in our knowledge, dark matter. Despite its similar name, dark energy has, thus far not been considered to be related to dark matter. The concept of dark energy simply describes the fact that the Universe is expanding at a rapidly increasing rate. Physicists suggest that there must be some form of energy driving this expansion. This is dark energy. The idea of negative gravity and negative mass have previously been rejected by science. This is partly because it would be expected to become less dense as the Universe expands which does not fit our observations of dark energy and its effect, as it is certainly not thinning out or weakening. The new model applies a mathematical object known as a creation tensor which accounts for the constant creation of negative masses. Thus, the negative mass fluid would not dilute. A computer simulation of this negative-mass fluid and its properties also predicts the formation of dark matter halos surrounding galaxies as we have inferred by observation for many years. These surrounding halos are something we have used to account for the fact that rotational velocities of these galaxies are much higher than baryonic matter alone could explain. 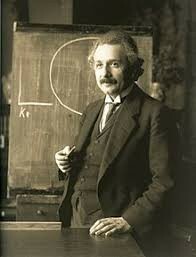 The expansion of the Universe was something that troubled Einstein throughout his career. He initially added a factor known as the cosmological constant to his field equations in order to describe a stable universe. When Edwin Hubble was able to demonstrate to Einstein that the Universe was actually expanding, he removed the cosmological constant, also referred to as lambda, remarking that it was his “greatest blunder”. Since then cosmologists have found cause to reinsert lambda, albeit in an adjusted form, to account for the fact that the Universal expansion is accelerating. 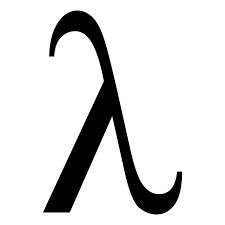 Lambda: a constant source of frustration for Einstein. Einstein had initially regarded lambda as the need for a “gravitating negative mass” filling interstellar space, thus preempting this research. Farnes said: “Previous approaches to combining dark energy and dark matter have attempted to modify Einstein’s theory of general relativity, which has turned out to be incredibly challenging. This new approach takes two old ideas that are known to be compatible with Einstein’s theory — negative masses and matter creation — and combines them together. The next step for Farnes new model will be the attempt to confirm it via observation. This will take place with tests performed by the cutting-edge Square Kilometer Array (SKA) radio telescope comprised of thousands of dishes across the globe. Although the new model is in its infancy, Farnes is optimistic of its potential to unseat the currently favored model, LambdaCDM: Dr. Farnes adds: “There are still many theoretical issues and computational simulations to work through, and LambdaCDM has a nearly 30 year head start, but I’m looking forward to seeing whether this new extended version of LambdaCDM can accurately match other observational evidence of our cosmology.